"We're Not Your Usual Italian"
Dinner – Banquet Room – Catering – we have all the topics covered when it come to choosing a menu for 2 to 200. We also offer Gluten Free & Childrens menus as well. We want to ensure we have a table when you arrive, please let us know if there are any special requests for your reservation. For 30 years we have been the choice to take out of towners, celebrate a milestone or just get away from it all and recharge the batteries. 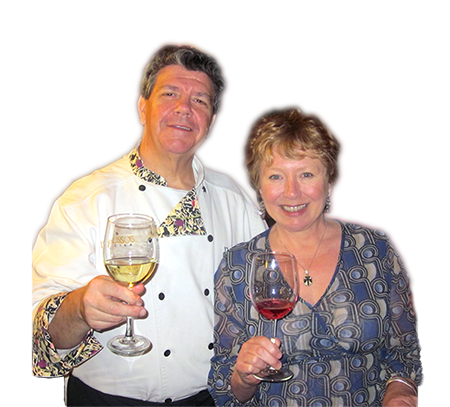 Let us take you on a culinary trip you will not soon forget. for half the price at the best Italian restaurant on The Hill! We cordially invite you to enjoy a cocktail, dinner, a cup of espresso, or one of our many house made desserts in the gracious and warm surroundings that the best Italian restaurant on The Hill provides. It is our consistency, attention to detail, and the dedication of our experienced staff that continue to bring customers back again and again to where they are treated like family. 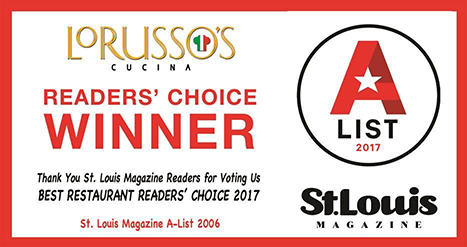 It is their testimonials that keeps LoRusso’s Cucina one of the best Italian restaurants in St. Louis.